The block - Stand-off … the site for which 62 houses are proposed. The Pemulwuy Project, a $50 million plan for 62 houses, a gym and an elders' centre, is on hold because the not-for-profit housing company says it cannot afford the processing fee. "We are a charitable organisation and we don't receive any money from the Government," said the head of the Aboriginal Housing Company, Mick Mundine. "We don't understand why they need $60,000 just to look at our DA, but they wrote back saying they won't let us off the fee." The company's project manager, Peter Valilis, said money could not be raised from investors until the the development application was passed. "Frank Sartor is a guy who just does not want this new complex to go ahead," said Mr Valilis, who added that the company would refuse to pay the fee. "It is really just a stand-off. They have said they will not do an assessment on the project until they get their money, so it could sit there indefinitely." Mr Sartor has argued that the Pemulwuy Project is too big and that 62 houses is too many for the Block, which is private land owned by the Aboriginal Housing Company. He attracted controversy in 2005 when he said Mr Mundine should "bring your black arse" down to his office to discuss plans for the Block. Mr Sartor apologised. 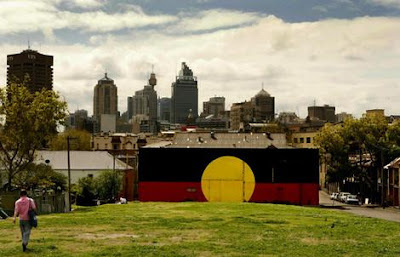 A spokesman for the Planning Department said the Aboriginal Housing Company was being treated like any other applicant. "The fees to be charged by the Department of Planning for the assessment of development proposals are prescribed by the Environmental Planning and Assessment Regulation. As such, the department charges proponents these fees, including other state agencies such as the Department of Housing and the Department of Health." Processing fees cover the department's work assessing proposals, public exhibition and notification, consulting other agencies and presenting an assessment report for the minister. The spokesman said the Planning Department was awaiting more information from the Aboriginal Housing Company, such as the final investment value of the project. "While the Aboriginal Housing Company has now provided the Department with most of the information requested, the proposal is not able to proceed to public exhibition until these last remaining critical pieces of information are provided."